Noni tea is brewed from the crushed leaves and fruit of the noni plant, or Morinda citrifolia, which is known to the Polynesian people as “the sacred plant.” Also called Indian mulberry or morinda, noni is a tropical evergreen that grows in the Pacific islands, the Caribbean, Asia, South America and Asia. Noni tea was historically been used for medicinal purposes to treat disorders such as high blood pressure, auto-immune dysfunction and chronic pain. However, drinking noni tea may also have some side effects. The Health Library Natural & Alternative Healthcare Center reports that research shows that noni may have may have liver-toxic properties that, in some cases, can cause serious liver damage. Citing a study conducted in Europe, the American Cancer Society reports that a number of people have developed liver problems as a result of taking noni tea. In one case, the damage was so severe that the individual needed a liver transplant. The ACS notes that the rest of the participants in this study recovered once they stopped drinking noni tea. According to the ACS, noni tea has a very high sugar content, which may be harmful to people who suffer from diabetes. It can potentially elevate the amounts of blood glucose in the diabetic’s body to harmful levels. People who need to restrict their calorie intake should also exercise caution when drinking this herbal tea. The National Center for Complementary and Alternative Medicine reports that noni tea also contains large amounts of potassium, which may cause complications for people who need to restrict their intake of this mineral because of kidney problems. NCCAM notes that, although potassium plays important roles in the body, including the regulation of body fluid levels, excessive amounts of this nutrient have been associated with kidney problems. A number of other side effects have also been associated with drinking noni tea. 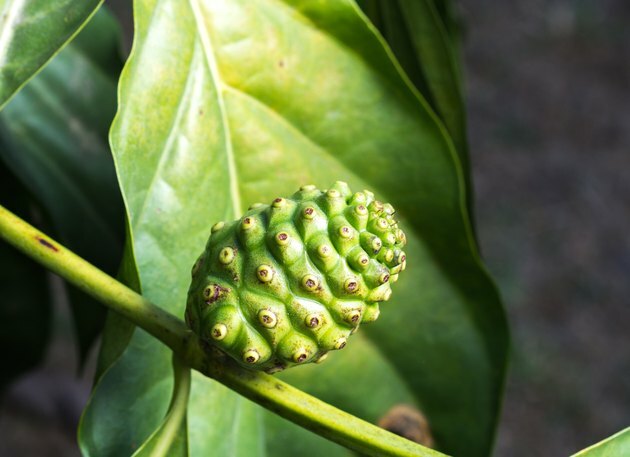 In the book “Island Noni,” Neil Solomon, M.D, Ph.D. writes that minor belching may result after taking noni tea, which stops once the dosage of noni is decreased. He also notes that some people may have an allergic reaction that causes a slight rash to break out. This rash clears up within 72 hours after the individual stops taking noni. How Much Hibiscus to Lower Blood Pressure?